GM has given the GMC Acadia an RHD conversion (don’t mind the lazily ‘Shopped LHD Acadia Denali in this press pic, LOL) and rebadged it. I initially thought it was weird that they replaced the GMC lettering with the Holden badge and left the rectangular blank behind, but I’ve warmed up to it. I’ve read that Chevrolet is revealing a new vehicle in Chicago on September 22nd; perhaps it’s the TrailBlazer? I really liked the concept. EDIT: Turns out that I didn’t read the linked article that closely. 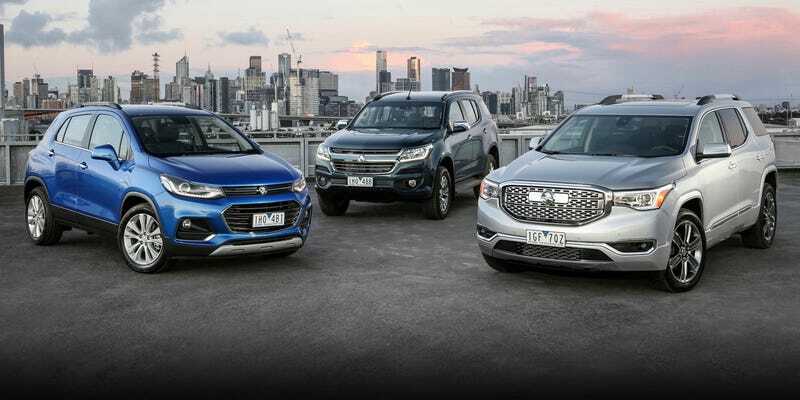 The Holden Acadia’s grille will probably look more like this once it enters production. WHOOPSIE! !